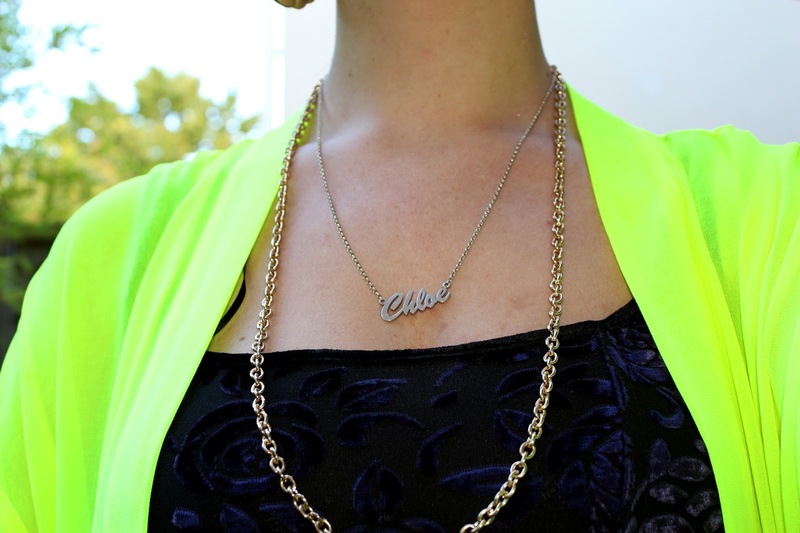 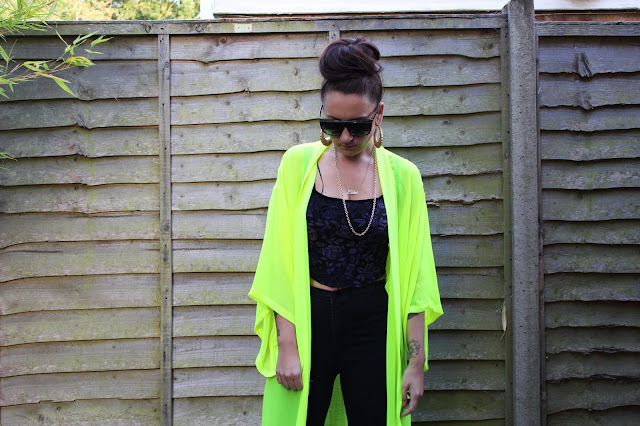 Style Crescent: OOTD: Neon Kimono. 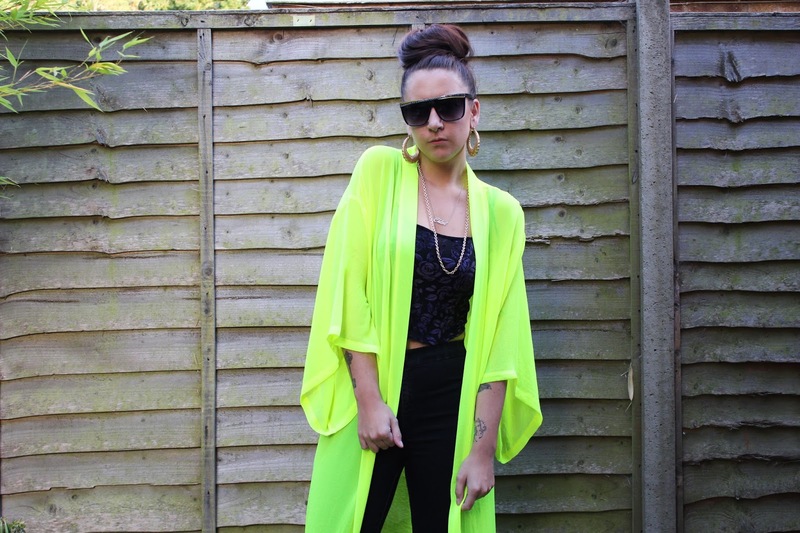 I'm wearing: Kimono - H&M / Crop Top - Car Boot / Joni Jeans - Topshop / Shoes - H&M / Sunglasses - Vintage Fair. OOTD: Make love not war.